Rent The 1927 Lake Lure Inn and Spa | Corporate Events | Wedding Locations, Event Spaces and Party Venues. Nestled in charming Lake Lure, North Carolina, the Inn was first opened to guests in 1927. The Inn combines original antiques and artwork with modern amenities to create the perfect atmosphere for a relaxing vacation, elegant wedding, or corporate event. Tucked away in the Blue Ridge Mountains, The 1927 Lake Lure Inn & Spa is the perfect location to say, “I do”. Our panoramic mountain views have long been a favorite for weddings, vow renewals, rehearsal dinners, and anniversary celebrations. 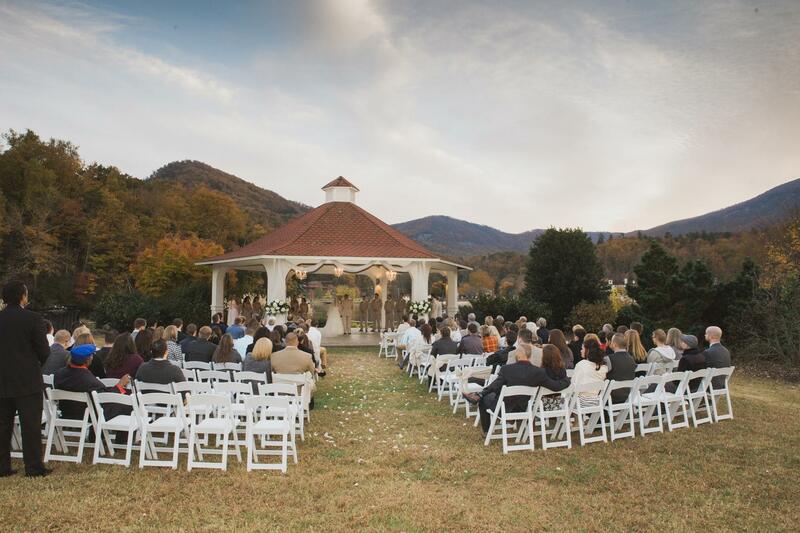 From our gorgeous venues to luxurious accommodations, we arrange every aspect of your dream wedding in Lake Lure. Contact one our event planners today and start planning the wedding of your dreams. Conveniently located just 35 minutes south of Asheville, NC, the Inn offers the ultimate in amenities, comfort, and value. With banquet facilities for up to 200 guests, we customize events from smaller, more intimate gatherings to larger scale corporate meetings. From the moment your group arrives, our staff is there to provide exceptional service. For groups ranging from 10 to 100 guests, we individually tailor your menu and room layouts to your specifications. The Inn offers advanced audio/visual services and complimentary WIFI making us the ideal setting for your corporate meeting or retreat.